Section 197 of the Income Tax Act, 1961 provides for the facility of NIL deduction of tax at deduction at a Lower rate of tax. 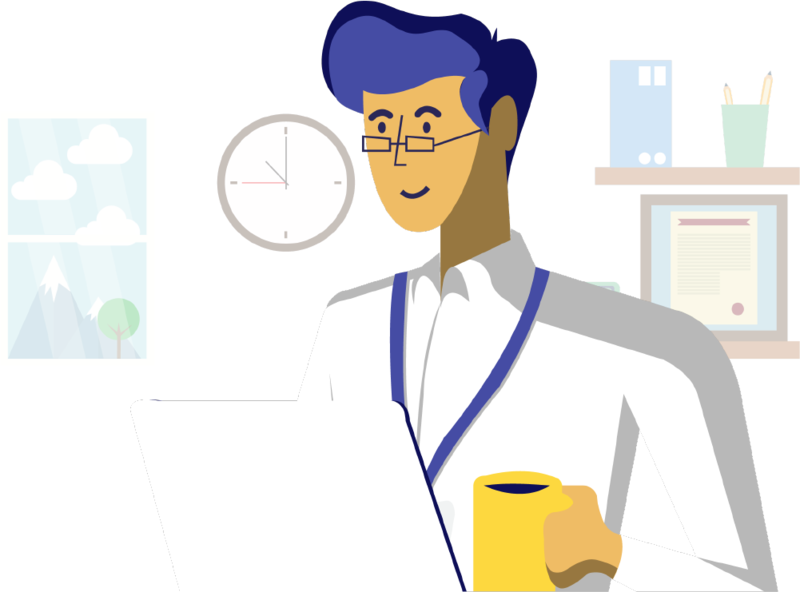 To avail of this benefit, the assessee whose TDS is likely to be deducted on certain receipts should make an application before the TDS Assessing Officer who has a jurisdiction over his/ her/ its case. The deductee concerned may apply for a certificate for Nil or lower deduction of TDS on their receipts in Form No 13. 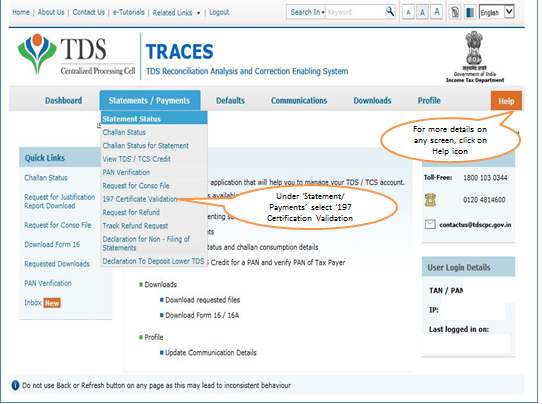 Once the certificate received by deductee, he/she/it can submit to Deductor to deduct the TDS at NIL rate or lower rate. Deductor has to give this certificate details while filing TDS return and has to validate before filing. 197 certificate should be of 10 digit alpha & numeric number. Ex.1234AAAA45A1. 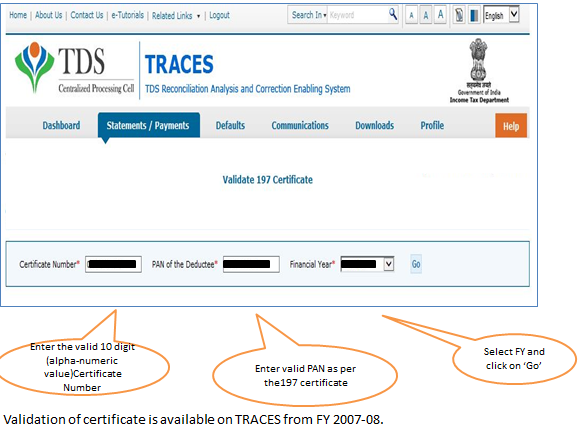 Step by step guide to how to Validate the Certificate u/s 197. 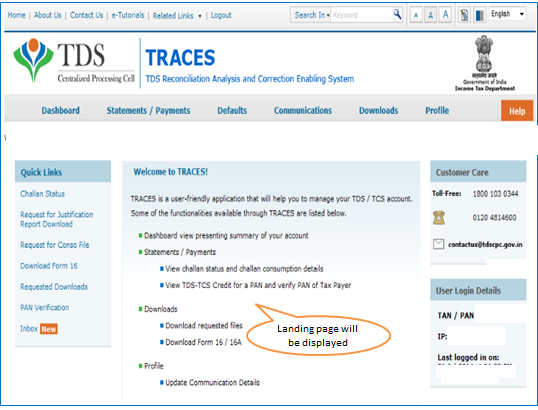 Login to TRACES as a Deductor with register User ID and PAssword. If you have not registered, you can read this guide to get registration procedure. The welcome page will be displayed. 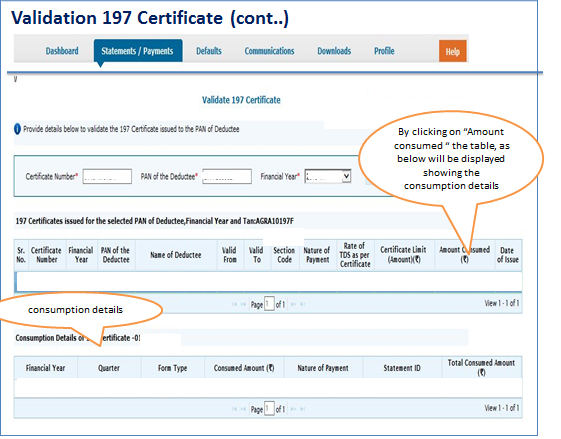 Click on “Statements/Payments” the second tab and select “197 Certificate Validation”. Enter 10 digit certificate number, PAN of the deductee and select “Financial Year”. It will display all the details of Certificate. 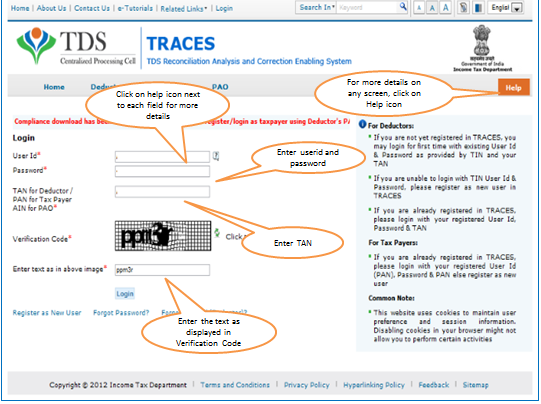 Number, Financial year, Valid period, TDS rate, Section code, Amount consumed etc. That’s it! Now you can check the valid date, amount consumed whether the limit is crossed.